Do you remember watching the Jurassic Park movies during the nineties? I still remember the awesome feeling we got in the theater, watching those huge monsters come to life before us, only to leave us clutching at the edge of our seats! That’s why I was so excited to take my daughter along to Jurassic World which was released a couple of years ago. It seems there’s another one coming up next year, and I can’t wait! In the meantime however, we can make do with a fun Printable Dinosaur Egg Match Game. And no, these dinos are all friendly little guys! 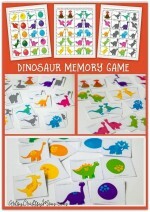 The Dinosaur Egg Match printable features colored sheets with dinosaurs, their eggs along with number and color cards. But oh, there’s a problem! The eggs have been mixed up and the dinosaurs are worried! Read on to find out how you can help the dinosaurs locate their eggs. 1. 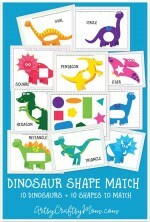 Download and print all the Dinosaur Egg Match sheets in full color. For best results and to ensure the sheets last, laminate them all. The full set contains 10 Rainbow colored dinosaurs + 10 matching egg cards, 10 matching color name cards & 10 number name cards. There is also a matching dino footprint pattern page to print on the backside of the cards. 2. 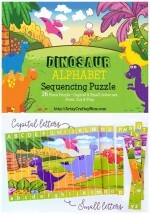 Cut out all the cards separately – dinosaurs, eggs, numbers and colors. 3. The easiest way to play with these cards is to match the dinosaurs with their eggs by color & pattern. 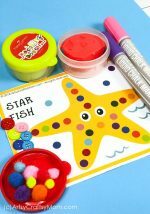 Young children can gather all the matching color cards to create color-themed sets. 4. Once your little one has learnt to identify colors as well as their names, you can match the color name cards with the dinosaurs. 5. Test your kids’ counting skills by counting the number of eggs each dinosaur has and matching them to the corresponding number name cards. 6. Finally, practice your math skills by sorting them in ascending & descending order. If your kids are huge dinosaur fans, be sure to try out the Dinosaur Shape Match, the Dinosaur Pom Pom match and the Dinosaur Addition Board game in addition to this. 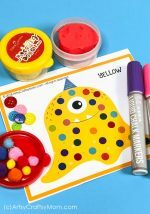 This Printable Dinosaur Egg Match game is itself many games in one with colors, shapes, numbers and so much more involved! 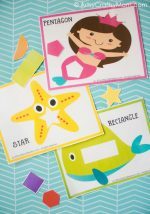 That’s why we recommend laminating – these cards are sure to get some good use!